Indian Property Show will be held at La Cigale Hotel from tomorrow onward. 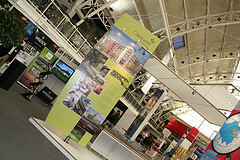 Around 5000 genuine buyers are expected to visit the property show. Indian property show to be held in Doha from 29 March 2013. DOHA: The NRIs who reside in Doha are looking forward to participating in Indian Property Show which will be conducted at La Cigale Hotel in Doha. Nearly 5000 prospective buyers are expected to visit the show. Indian Property Show-Doha is believed to be one of the biggest. The show, organized by Sumansa Exhibitions, will have about 200 projects by 50 top Indian developers. The exhibition will showcase properties worth QR10bn. Inaugural session, scheduled at Al Wajba Ball room at 10. 30 a.m., will be presided by Sanjiv Arora, the Indian Ambassador for Doha. While meeting the media persons, Sunil Jaiswal, CEO at Sumansa Exhibitions, seemed highly optimistic and confident over the success of this show. He said that the Indian Property Show will attract a good number of buyers. 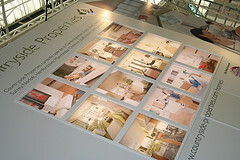 Indian property show woo NRI investors and buyers. Indian Property Shows do act as a good platform for the NRIs for knowing the Indian realty. They easily come to know about the upcoming projects. Further they get a chance to meet the developers, financiers and legal advisors under one roof. The show will display all sorts of housing projects. Affordable housing projects to the top-end luxury projects will be exhibited in the show. It gives the NRI investors vast options from villas, apartments, commercial projects and so on. Ansal Housing, Brigade Group, Indiabulls, Jaypee Greens, Ozone Group, Purvanchal, Purvankara, Wave Infratech, etc. are a few builders among many who will display their projects. Properties from cities like Ahmedabad, Bengaluru, Chennai, Kochi, Mumbai and other NCR regions also will be displayed during the show. Builders approach Indian Property Show-Doha as a chance to woo the NRIs. Meanwhile the NRIs approach it as a golden opportunity to know the investment options. They really feel that this is the best time for them to have investment in India. This entry was posted in Real Estate News and tagged Indian Property Show, Indian property show Doha, La Cigale Hotel, NRI investment, property show, real estate investment by designer. Bookmark the permalink.